Graphic, dramatic as the migration of the geese themselves, this modern lap quilt pattern finishes at 63" x 63". 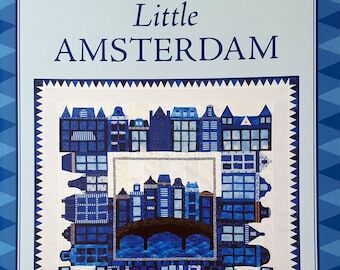 Well written, easy to follow instructions, great for a beginner and fun for the more experienced quilter. A fun way to practice making negative space. The pattern also includes instructions to bind using the two primary colors, making the finished quilt sleek and sophisticated. From the author: This award-winning modern quilt is based on a traditional block and is made entirely with half-square triangles, but gives the appearance of something far more difficult. 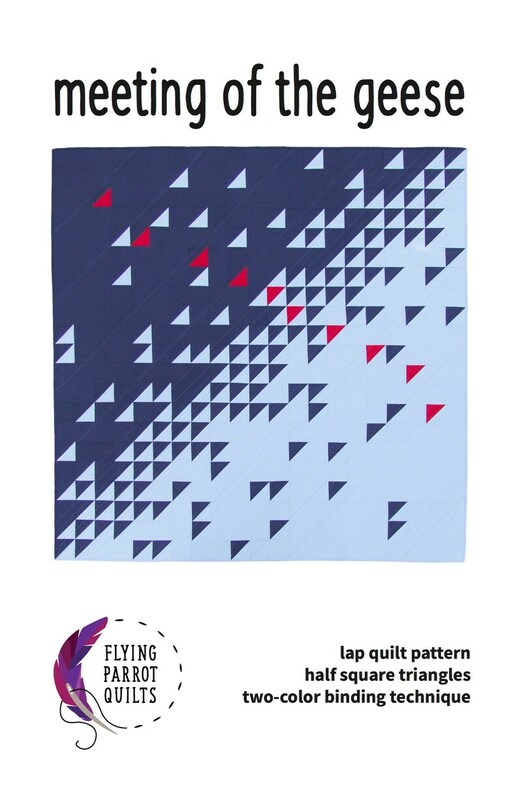 The pattern includes cutting diagrams to reduce fabric waste and thorough instructions for a special two-color binding technique to finish your quilt. 63" x 63" finished size. Full-color pattern booklet. Written by Sylvia Shaefer of Flying Parrot Quilts, the recipient of the Craftsy Fellowship for 2017. Make your next quilt modern!